Our project at Nine Elms on London’s South Bank for Bellway Homes has been shortlisted in ‘The Placemaking Award’ category of this year’s national Property Awards. 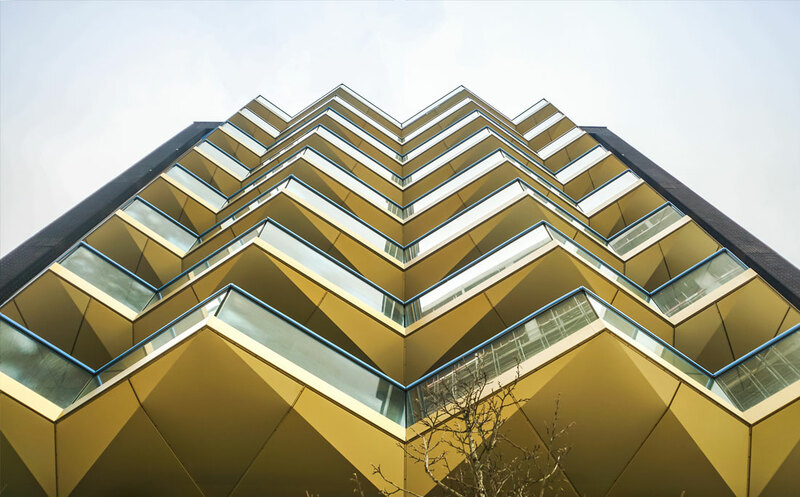 The Residence, which provides over 300 private and Build to Rent (BtR) apartments in 5 residential buildings, is arranged around a raised courtyard with retail and leisure facilities at ground level. Active frontages and new public realm resonate with the site context and its situation on former industrial land that once contained a railway station. The project reopens historical routes to create links through the rail viaduct to New Covent Garden Market and the new Nine Elms underground station and orientates the spaces to promote views to the River Thames, Nine Elms Park and the US Embassy. The Placemaking category is sponsored by U+I the specialist regeneration developer and investor. The programme celebrates the achievements of the property industry, and the award winners will be announced by Property Week on 24 April 2019.